The Hidden is a 1987 science fiction film from New Line Cinema. The film was written by Jim Kouf (credited as "Bob Hunt") and directed by Jack Sholder. 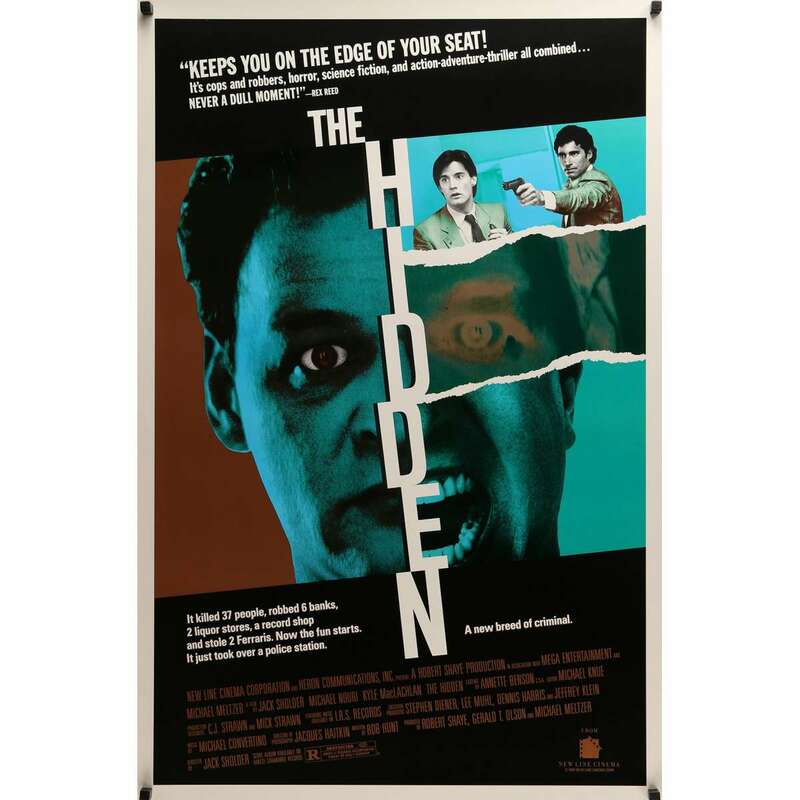 The cast featured Kyle MacLachlan and Michael Nouri with supporting roles by Clu Gulager as Nouri's character's superior and Chris Mulkey, Ed O'Ross, Clarence Felder, and Claudia Christian as the alien antagonist's human hosts. Larry Cedar of The Crazies and Twilight Zone: The Movie also co-star as one of Nouri's character's colleagues.